How Deep in the Ground Can Yellow Jackets Be Found? Pesky yellow jackets can ruin the joy of being outdoors on a summer's day if a nest is nearby, not to mention how it affects your ability to do yard chores. While yellow jackets will make their papery nests in rotting logs or hollow logs, their favorite spot is underground. 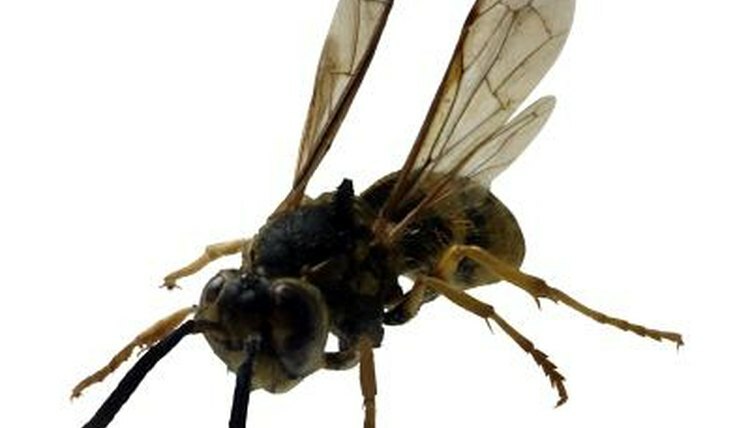 Many times you won't know the yellow jackets are there until you roll over a nest with your lawn mower. Yellow jackets frequently use abandoned burrows for their underground nests, so there will be some variation in the nests' depths. Most frequently, the nests lie just below the surface, with the entrance concealed beneath a dense bush or by thick grass. Nests in burrows can be as deep as 4 feet deep. Their paper nests, built inside the burrows, are approximately the size of a soccer ball. How Do Cottontail Rabbits Build Nests for Giving Birth?